Summer is a time for tables to really come into their own, and you can do so much better than dragging a hardwood dining table and straight-backed chairs into the garden when you want to indulge in some al fresco dining. Here are five ideas of how you can put the right furniture to good use outdoors, whether you want to make a fairly formal outdoor food area, or a casual platform to keep items well clear of the ground. Just because you're going for a picnic, it doesn't mean you can't take a table and chairs. Folding chairs are an ever-popular option when you need to fit a few into your boot, while our folding tables include our amazingly space-saving six-foot folding plastic table, which has the option of a folding top that collapses down to just three feet. With these, you can cater for larger groups - including older relatives who need a proper chair to sit on - while also giving you plenty of table top space to put the food, and shade underneath to keep drinks cool. Again, give some thought to who will be attending your barbecue. If you need to cater for vegetarians, for instance, you might want to choose a larger table, like our 6-foot plywood folding table, and set out some snacks that are kept well clear of the meat. You can add a 3-foot folding table as a staging area for the raw meat, so it's kept to one side well away from the cooked food, while using the larger table as a counter top to put out the food as it's cooked and ready. It's useful to check what facilities are available on the campsite before you set off - you never know if they might have picnic tables, for example. You might still want to pack some folding chairs if you want to make certain of having enough seats, as it can be awkward when some people have somewhere to sit, while others are cross-legged on the floor. For ultimate portability, pack some of our banquet seat pads, which you can attach to any suitable seat using the Velcro straps, or just use as a cushion in their own right for a padded place to sit at short notice. In this way, you can take a cushion for everyone in your party, while taking up the bare minimum of space in your car boot or in your rucksacks - which leaves more room to take some outdoor games like cricket or tennis to enjoy in the summer sunshine! Beach trips can be surprisingly furniture-friendly, as unlike most rough outdoor ground, you can always get a table level on sand - just push each leg down into the sand a little to level it out, and use a cup of water as a makeshift spirit level if needed. We've already mentioned our folding tables, but if you have a bit more space - in the back of a mobile home or a van, for instance - why not pack one of our Strassa outdoor tables? The spiral legs are easy to level out on sand and as an outdoor table, it's designed to withstand the elements when used in the open air. Many of our outdoor chairs are space-conscious too, so again, if you're travelling in a van you might find you have room to pack a few stacking chairs, or you can opt for folding chairs again instead. Again outdoor chairs are designed to resist all kinds of substances, so you don't have to worry so much about getting sunscreen on them - and you can always throw a towel over them if you prefer to shield them against any sun cream transference. Last but not least, the summer of 2018 is a big one for sport, with early July bringing Wimbledon, the British Grand Prix and the Football World Cup from Russia too. If you're planning to attend any outdoor sporting events where seating isn't provided as standard, our M Stools are a stylish and lightweight option with an attractive light oak finish, for an instant seat wherever you need it. They're pretty portable too, so if you and your friends are taking it in turns to host on match days, it's easy to transport your stools to wherever they are needed - you might want to each represent a World Cup host city, for instance, before choosing the best location overall for the big party on grand final day. 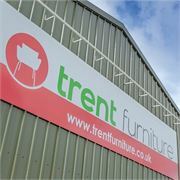 The Trent Furniture team invited a local photographer to take a look at the team in action and here is the end result. Ever since Starbucks opened its first UK branch in 1998, on London’s King’s Road, our high streets have become overwhelmed by the big chains: Costa, Caffè Nero, Starbucks and Pret a Manger. There is no doubt that these chains have changed our drinking habits for the better, introducing us to a wider range of coffees and beverages, and bringing swift American-style service to the British high street. Twenty years ago, few of us would have been asking for a “latte to go” or ordering an Ethiopian-blend cappuccino. Ten years ago, according to the BBC website, there were fewer than 10,000 places to buy coffee in the UK and fewer than a third of those belonged to the big chains. By the end of last year, there were more than 22,000 coffee shops, and branded outlets had doubled in number. But the big chains have also brought with them a certain corporate uniformity: everywhere, we see the same logos, the same brands, the same chairs, tables and stools. Another high street, another Starbucks. And then there are the complaints that the owners of these chains don’t pay their fair share of tax, which adds to the sense that they have become too big and too powerful. But is the march of the high street chains coming to an end? It seems that we are seeing a fightback from independent coffee shops. Last year, Costa saw its share price fall on reports that its sales had been hit by renewed competition from independent cafés. Consumers, said Costa, are becoming “more demanding”. Market research and consumer surveys show that customers want more than just a cup of coffee in anonymous corporate surroundings: they want something individual, local, special, distinctive, authentic, real. In short, they are turning to independent shops and cafés. 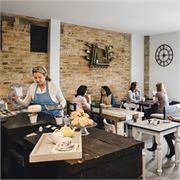 If you are the owner of a coffee shop, or if you are planning to open one, you will doubtless know your latte from your cappuccino – but as consumers become more discerning, you will need to think about broadening your offering and making your business stand out from the high street crowd. The flat white, for instance, is a relatively recent arrival on the coffee scene – a shorter, stronger coffee that was introduced to the UK by coffee-mad Australian baristas. Is it on your menu? And do you have a variety of different coffee beans on offer? Be aware, too, that these days people expect to find alternatives to regular cow’s milk, such as oat milk and almond milk. This no longer comes in two varieties – with or without sugar. Green tea is increasingly popular, especially among younger customers, as are herbal infusions. 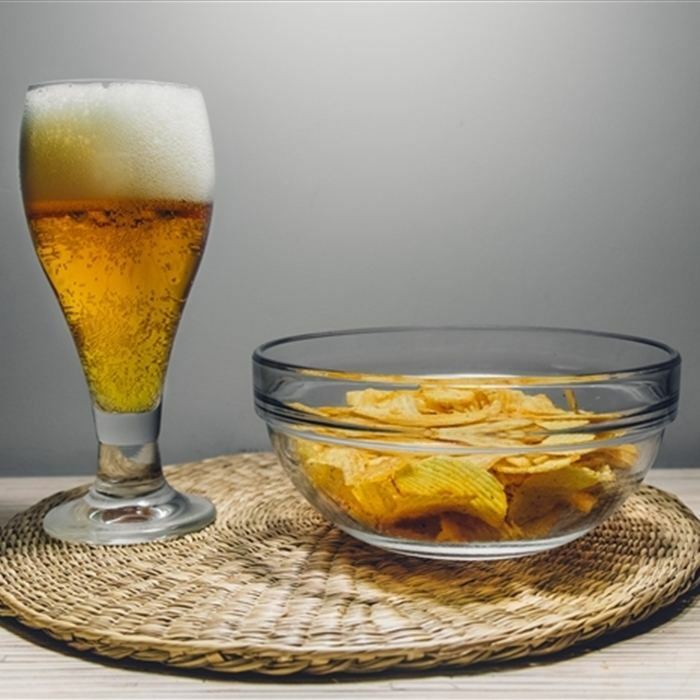 Last year, research by Mintel showed that 37 per cent of British consumers aged between 25 and 34 had drunk five to six different types of tea over the previous month. 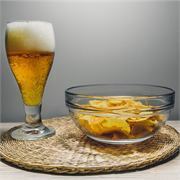 The choice of drinks in your offering will help to distinguish you from the big high street chains. If food is part of your offering, handmade cakes and pastries will add an authentic flavour. Likewise, you can make your café stand out from the high street crowd with your decor. Take time to visit some of the high street coffee shops in your locality, and ask yourself: how can I make my café look and feel different from these? 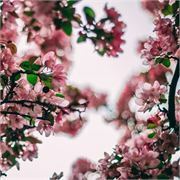 As an alternative to bland, blank walls, you could source some vintage prints of your neighbourhood or local high street and get them framed and hung on your walls. These will add individuality and would also be a talking point. Or you could feature the work of local artists. And do you have space for a bookshelf or two? In which case, you could become a mini-library, operating on trust, with customers free to borrow and return books at their leisure. Fairy lights trailed around the bar area add personality and a quirky touch to an interior. A handwritten chalkboard menu on the wall adds a personal touch – and also makes it easier to change things around and add new offerings. Cups and saucers can help your café stand out. Do they all have to be exactly the same? Mixing things up can help create a homelier atmosphere. If you serve tea in pots, an array of different decorative teapots can add interest to your tables – and look attractive stored on shelves. Your takeaway cups are also an opportunity to offer something distinctive: branded cups will cost a little extra, but they are unique to your café – and they function as a little travelling advert every time someone takes one out. And then there is furniture. This is perhaps where the big high street chains are at their worst: ranks of identical chairs and tables which vary little from one branch to the next. These chains will have a strict corporate identity, which will prevent them from introducing anything that looks too distinctive or different. But if you are running an independent coffee shop, the choice is entirely yours. Why, for instance, should all your furniture look the same? Why not mix things up? Trent Furniture has a wide range of tables and chairs for use in cafés. 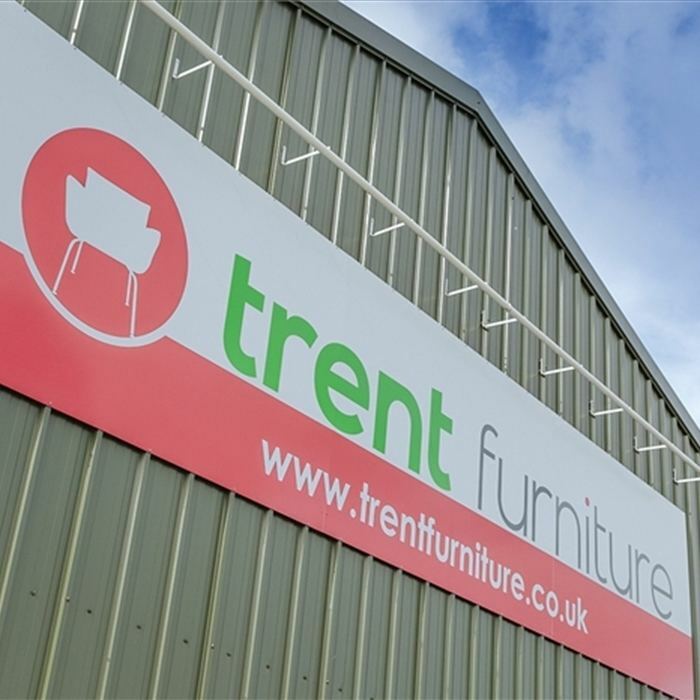 Many of Trent’s chairs are upholstered in durable, easy-to-clean fabrics. These offer a chance to add colour to your café – and they don’t all have to be the same colour; mixing and matching will create warmth and add to the sense that a human being rather than a faceless corporation is behind these choices. 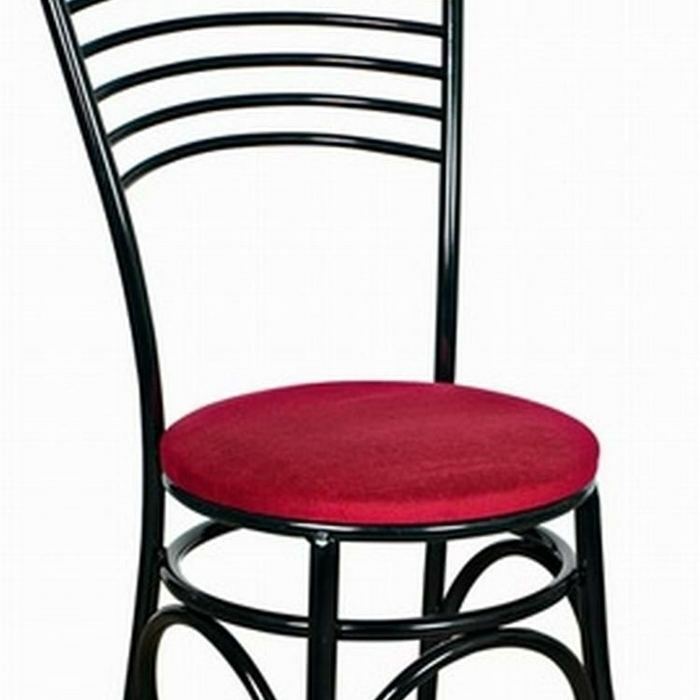 Trent Furniture’s Italia bistro chair, for instance, is a classic design with an upholstered seat available in a wide range of colours and patterns. Or you could introduce a mix of wood and metal chairs and tables, combine traditional with modern, or source some vintage pieces to sit alongside new chairs and tables. 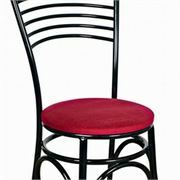 Trent Furniture’s Bentwood Slatback side chair, for instance, could be used alongside Trent Furniture’s Dalton chair and its Napoli side chair. The way you arrange your furniture will also be important. Here again, you can stand out from the high street crowd. 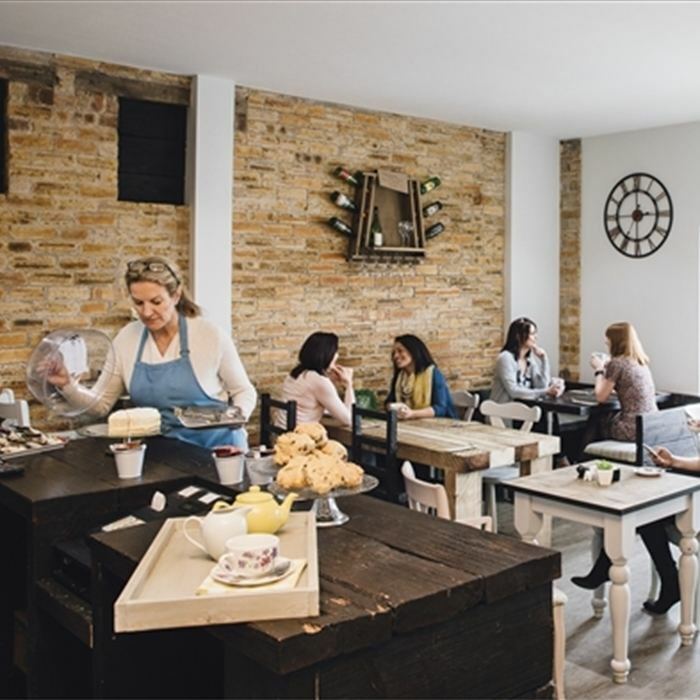 A typical high street chain café will have identical chairs and tables set out in rows, whereas a smaller neighbourhood coffee shop can set things out at different angles, as well as changing things around when the mood takes. Mixing high furniture with low is also effective: Trent Furniture’s Bella tall stool would look good at a windowside counter or alongside a Trent Furniture poseur table. Regular-height chairs and tables could fill the main space, while corners and walls could be occupied by low tables and chairs or perhaps even a sofa or two. Finally, if you are independent and local, don’t be shy: shout about it. Publicity material and menus could be headed with a phrase such as “Your local independent café”. If you have a social media presence, make sure that you use it to emphasise your local independent credentials. And with all the recent publicity surrounding the use of plastic cups and straws and their effect on the environment, perhaps now is the time to clean up your act and adopt more eco-friendly products such as paper straws and compostable paper cups with biodegradable lids. Again, if you are an eco-friendly café, don’t be shy: blow your own trumpet. Be proud of it. It will all help to make your café stand out from the high street crowd. 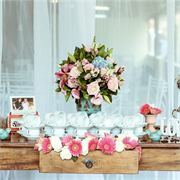 Why is stacking furniture the best for wedding venues? Take a look at our wedding venue furniture and you'll see that the vast majority of it is stacking furniture, while much of the rest consists of wedding dinner tables with folding legs, essentially making these stackable too. Why is this so important? 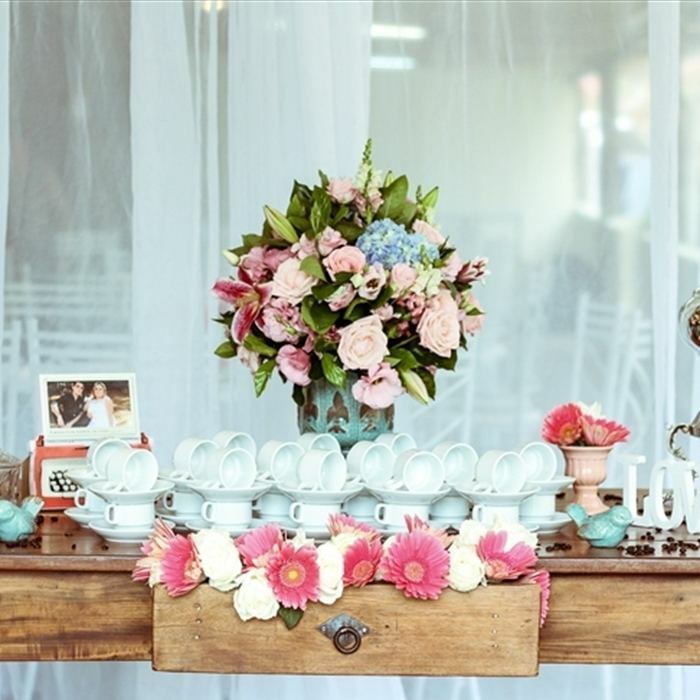 Well, there are two excellent reasons why stacking furniture is the best wedding venue furniture, and of course it all comes down to the amount of space available. For most venues, keeping a ballroom permanently laid out with banqueting furniture is an unacceptable option, as you may need that space for other events, whether with a different seating layout, or no seating at all. Meanwhile on the wedding day itself, it's not uncommon for the same room to be used in several configurations, for the ceremony, the wedding breakfast and the evening reception - so you need to be able to quickly and safely reconfigure your wedding venue furniture. Stacking tables with fixed legs are one good option for wedding venue furniture, as they can take up much less room than individual fixed-leg tables that do not stack - but if you need to move your wedding tables around quickly and safely, consider folding tables instead. These have legs that lock securely in place when the table is in use, but can be folded flat against the underside of the table top for transportation and storage. Combined with trolleys for rectangular and round tables alike, this makes it incredibly easy to pack away your wedding tables at times when you only need chairs - such as during the ceremony - or when you need to clear a space completely for the evening reception and dancing. Stacking chairs don't mean compromising on appearance, as modern frames are designed ingeniously to slot on top of each other, without standing out as looking like 'stackable furniture' when in use. Frames are built in sturdy metal so only a small amount of care is needed when stacking chairs to avoid any damage, and there's a choice of fabric finishes so your upholstery can suit your venue's interior design scheme. Finally, if you allow guests to choose their own colour scheme, consider investing in spare sets of seat pads for Chiavari and Henley banqueting chairs. With these, you can offer wedding venue chairs with an appropriate colour of upholstery - removing the need for the happy couple to provide seat covers to suit their colour scheme, and helping to make their big day a little easier to organise. 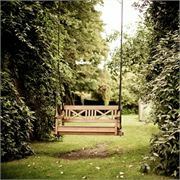 See our range of wedding furniture at - https://www.trentfurniture.co.uk/products/all-industries/wedding-venue-furniture/1. 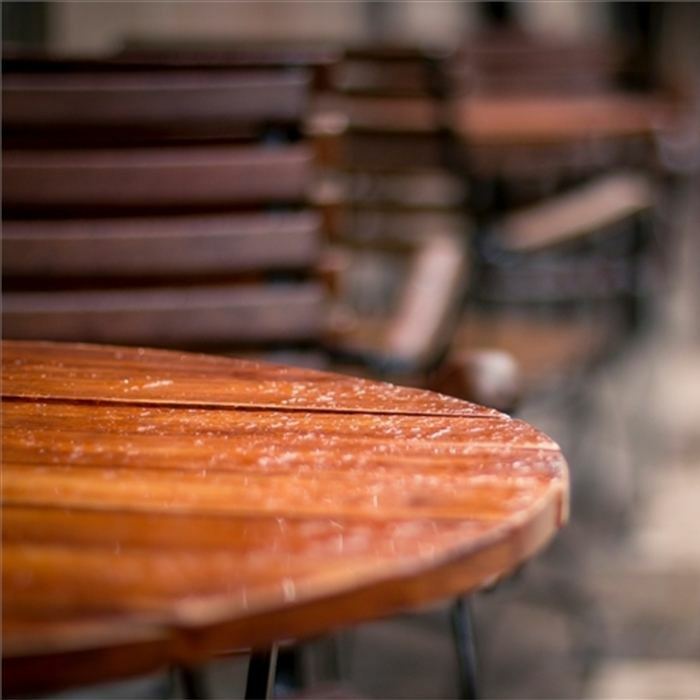 If you're facing costs to repair or replace wooden beer garden furniture damaged by the rough weather in recent weeks - not to mention the wear and tear of leaving it outside through the winter months anyway - then you might reasonably want alternatives to wood that will stay in better condition for longer. 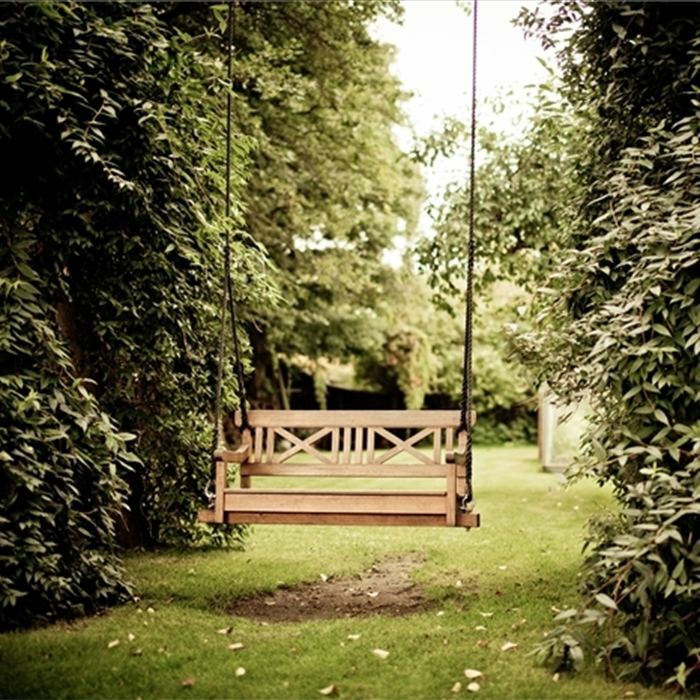 Luckily, you no longer need to use natural materials that crack or rot, or need sanding down and repainting every year, as there are synthetic alternatives to wooden beer garden furniture that look great, while needing far less routine maintenance to keep them at their best. Trent Furniture's Capra tables are 70cm square or round outdoor tables in a synthetic light oak timber effect that is also used as decking on luxury yachts - a sure sign of its resistance to the toughest of conditions. When used on these synthetic wood beer garden tables, it gives you a durable, natural-looking timber aesthetic, but with the performance of manmade materials including water resistance and a light oak colour that will not fade in sunlight. That means in most cases, the only maintenance you'll need to carry out is a wipe down with warm soapy water, to lift dirt off of the surface and out of the realistic wood grain, so the tables are set to go for another spring-summer. Monaco wood effect stacking chairs are the perfect complement to Capra beer garden tables, again using synthetic wood slats on the seat and chair back, with the same benefits in terms of low maintenance and durability. The aluminium framed outdoor chairs match the same polished aluminium pedestals on the Capra outdoor tables, and if you want to move away from wood effect completely, we have all-aluminium alternatives available in outdoor chairs and tables too. Our full range of pub and hotel garden furniture has plenty of options, including tall bar stools and outdoor poseur tables, wicker and rattan chairs and tables. Together it gives you good control over the final look and feel of your outdoor furniture, so you can match it to your interior design scheme. You can even use the same furniture in indoor spaces, especially where you need to resist environmental elements such as splashes of chlorinated swimming pool water, or exposure to direct sunlight in conservatory areas.